Medley, FL – Dart’s Conex ClearPro® and ProMotions plastic cups are perfect for many different applications. You can pair the ClearPro® plastic cups with a domed lid for salads, iced coffees, and donut holes among others. Each lid will fit four different cup sizes, and since the cups are made of polypropylene, they offer a durable and crack-resistant frame. In addition, the rolled rim allows for comfortable drinking while ensuring the lid will be secure. 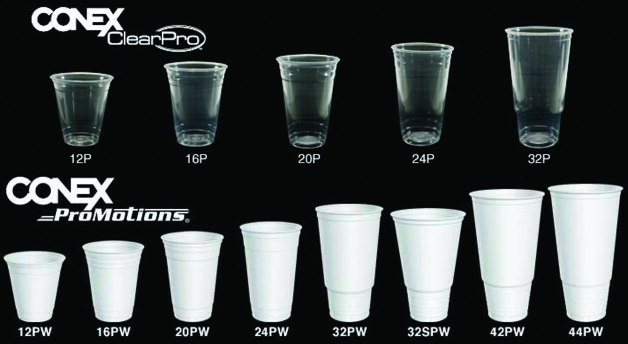 Finally, ClearPro® plastic cups are available in both printed and unprinted options. For printed, you may select up to six different colors. As for the ProMotions Cups, you can brand your business with eye catching logos that will pop off the cup.